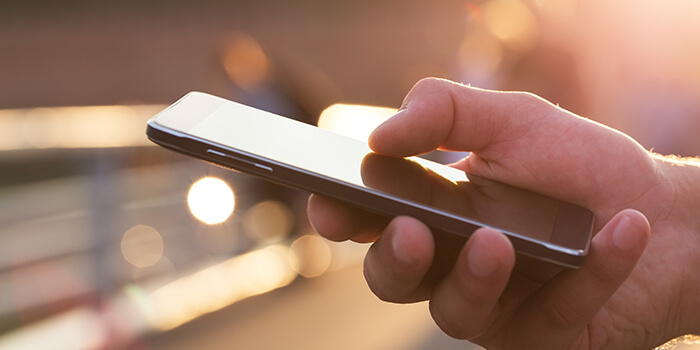 The FDA has approved a mobile medical application to help increase retention in outpatient treatment programs for individuals with opioid use disorder (OUD). The reSET-O app is a prescription cognitive behavioral therapy intended to be used in addition to outpatient treatment under the care of a health care professional, in conjunction with treatment that includes buprenorphine. The app must also be part of contingency management, a behavior modification intervention that establishes a connection between new, targeted behavior and the opportunity to obtain a desired reward. The reSET-O app can be downloaded to a patient’s mobile device after they receive a prescription from their doctor, serving as a training, monitoring, and reminder tool for providers and patients to maintain treatment. It includes a compliance reward system, such as earning special icons on a prize wheel within the app. The FDA reviewed a multi-site, unblinded, controlled 12-week clinical trial of 170 patients who received buprenorphine treatment and behavior therapy; patients were divided into groups that either did or did not use a desktop version of the reSET-O available at a clinic. Urine drug screenings were conducted three times weekly, and the reSET-O did not demonstrate reduced illicit drug use, but the reSET-O group did show a higher level of retention in the program at 82.4% compared to the group that did not use reSET-O, which had a 68.4% retention rate. The reSET-O app is not intended to be used as a stand-alone therapy, as a substitute for medication, or for patients whose primary language is not English. Post-traumatic stress disorder (PTSD) – a serious mental condition that can occur after a traumatic incident – is creating serious buzz in workers’ compensation. To be clear, PTSD is not new to the industry; a majority of states already cover PTSD when it occurs as a result of a physical injury. However, mental trauma can still occur even when the body is unharmed. Should workers’ compensation coverage extend to these scenarios? A growing number of states think it should. In 2018 alone, 16 states considered legislation to address workers’ comp coverage for PTSD in scenarios that do not involve physical injuries. These “mental-only” injuries are gaining compensable status across the country, primarily for first responder occupations at high risk for experiencing traumatic incidents, such police officers, firefighters, and emergency medical technicians (EMTs). In 2018, Minnesota, Florida, and Washington began to cover these claims, with Texas, Nebraska, and Colorado doing the same in 2017. 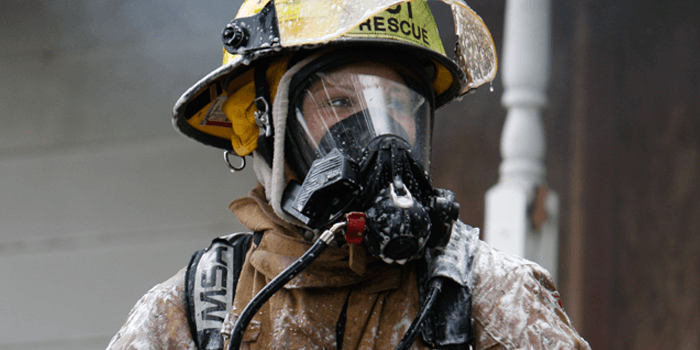 Furthermore, Massachusetts, New Jersey, New York and Rhode Island have been covering mental-only PTSD claims for all workers, not just first responders, for several years. As legislation covering mental-only cases continues to spread, it raises the question: what should workers’ comp professionals know about PTSD and its management within a claims population? For more information on PTSD in workers’ comp, such as associated health impacts, its prevalence in first responders, and formulary and nonpharmacological components of treatment, read the full article online at RxInformer. 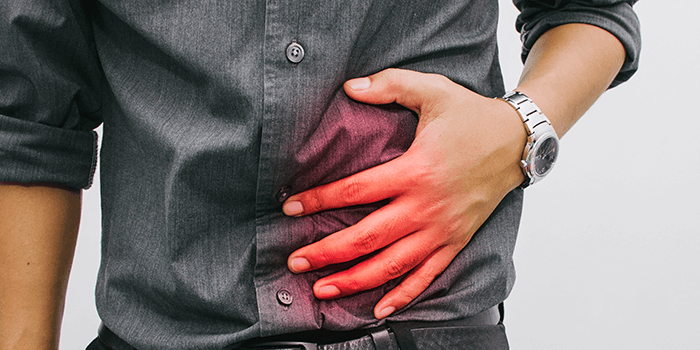 If you missed it in October, the American Gastroenterology Association (AGA) issued new guidelines on opioid-induced constipation (OIC), providing guidance on managing pharmacotherapy. OIC is a common side effect of opioid therapy, and according to the AGA, it can occur in 40-60% of patients taking chronic opioid therapy. First and foremost, the AGA encourages providers to ensure that the indication for opioid therapy that leads to OIC is correct, and that patients are in a pain management program, taking the lowest opioid dose possible, to potentially avoid the issue of OIC altogether. The guidelines then go over various medications used to treat OIC, examining the evidence-base that supports a drug type’s appropriate use, giving recommendations on the use of such therapies. The guidelines state that laxatives are a first-line treatment, and if a trial of laxatives produces unsatisfactory results, then peripherally-acting mu-opioid receptor antagonist (PAMORA) drugs may be recommended. This includes naldemedine, naloxegol, and methylnaltrexone. Naldemedine is associated with a high-quality level of supportive evidence for effective use, while naloxegol produced moderate-quality evidence, and methylnaltrexone is associated with conditional, low-quality evidence for effective use. The AGA made no recommendations for the use of lubiprostone or prucalopride, citing an evidence gap. This evidence gap was cited once more as the AGA did not provide recommendations on newer medications. For more information, read the guidelines in full online at the Journal of Gastroenterology. 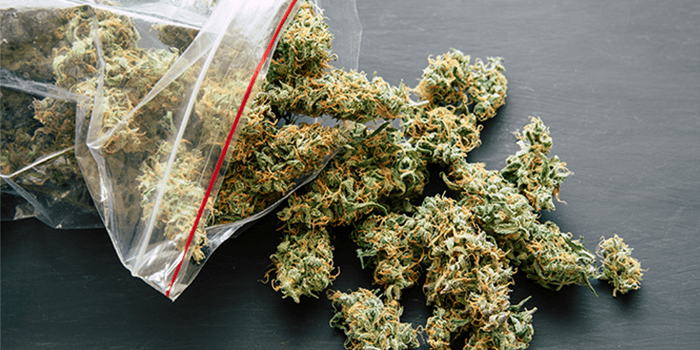 Monthly Prescribing Reference (MPR/EMPR) recently published an article on the growing use of marijuana in geriatric practice, presenting some interesting facts on marijuana use among older Americans. The article went on to explore common conditions that older patients use marijuana for, including pain, insomnia, glaucoma, and to manage side effects from chemotherapy, conditions which are commonly included in medical marijuana laws across the country. This month at the National Workers’ Compensation & Disability Conference (NWCDC) in Las Vegas, Dr. Silvia Sacalis, VP of Clinical Services at Healthesystems, partnered up with Dr. Adam Seidner, Chief Medical Officer at The Hartford, to deliver the session Defining, Delivering and Measuring Valued-Based Care Within Workers’ Compensation. Value-based care and reimbursement models have gained traction in commercial healthcare over the last few years, but over the last decade Medicare has truly been at the forefront in implementing programs intended to align their payment system with the quality of care provided. This notably began with the Hospital Value-Based Purchasing Program via the passing of the Affordable Care Act, and more recently with MACRA, as well as the upcoming Merit-Based Incentive Payment System (MIPS), which will align payments with individual providers’ performance in certain practice areas, including quality of care. CMS has implemented these programs to support the triple aim of delivering better care for individuals, improved population health, and lower costs. These concepts increasingly resonate within workers’ compensation organizations as the conversation moves beyond price per pill to focus on better overall financial and clinical outcomes. However, the move toward a value-based model first requires the alignment of stakeholder incentives, and the complexities within workers’ compensation have made it challenging thus far to plot a clear path forward – Dr. Seidner highlighted a significant difference in workers’ comp being the onus of indemnity payments on the payer. Unlike the long-utilized fee-for-service model, which rewards volume of services and frequently drives overtreatment, a value-based reimbursement structure places the patient’s well-being at the forefront by incentivizing a focus on outcomes and appropriate service utilization. This includes not only assessing whether the appropriate service occurred, as Dr. Seidner pointed out, but when it occurred – i.e., did it occur within a timeframe where it is proven to be most effective? Here, data analytics play a starring role as predictive models and advanced analytics enable more precision and more personalized care. From a measurement and tracking perspective, Dr. Sacalis emphasized that establishing a set of clinical metrics is crucial to assessing the outcomes of an intervention or set of interventions on the health of an individual or a population. Approximately 70% of physicians have already participated in some type of value-based program, and the majority of these physicians have gained additional compensation from them as a result – demonstrating that it does pay to do the right thing. The value-based model creates an aspect of shared risk among stakeholders that in many cases can help align incentives. Problems arise, however, when one stakeholder is held accountable for factors they can’t control – e.g., physicians negatively impacted by factors in the employer environment, such as the lack of a return-to-work program. There are a number of different models within the spectrum of value-based care, from the capitation model that allots single monthly payments to reimburse care across a population, to payments associated with procedural episodes of care, to a true patient-centered payment model that reimburses based on the comprehensive scope of services, both planned and unplanned, that will effectively treat a particular condition – rather than focus on volume of services. While some provide greater accountability and/or strike a better balance between under and over utilization than others, Dr. Seidner postulated that different payment models may be appropriate for different cases, and a hybrid model may be on the horizon for the workers’ comp industry. Even fee-for-service has its role, he stated, as it can encourage utilization of under-utilized services. Regardless of the model utilized, metrics such as patient preferences, return to work, quality of life, and over or under utilization of services all must be a part of the formula. For a conversation on the role PBMs can play in the future of value-based care in workers’ comp, watch the video interview with Dr. Sacalis and Matt Hewitt, Healthesystems EVP and General Manager of PBM Services, moderated by Roberto Ceniceros of Risk & Insurance magazine. Want more articles like these delivered to your inbox? Sign up for our monthly Workers’ Compensation e-newsletter and blog.